CAMPBELLTOWN, Camden and Wollondilly councils are co-operating to develop the tourism potential of the Macarthur region and attract investors. 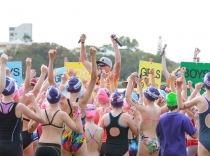 HUNDREDS of local sports clubs and sports organisations across NSW could benefit from more than $10M worth of grants announced by Sports Minister Stuart Ayres. 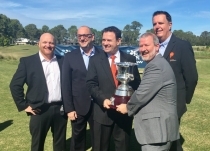 PENRITH will host the NSW Open Golf Championship for the next three years thanks to a new sponsorship agreement between Penrith City Council and NSW Golf. Which region will be successful? FOOTBALL Federation Australia (FFA) confirmed a new Hyundai A-League broadcast deal with Fox Sports in December. PENRITH Mayor Ross Fowler says Penrith is the logical choice for the construction of an outer Western Sydney sporting venue under the State Government’s recently announced Stadia Strategy Implementation report. RACING cars doing live demo’s on the race track, one of the world’s rarest supercars (the McLaren MP4-12C), the new Porsche pursuit car for the NSW Police Force, a jet powered remote car and race car simulators. 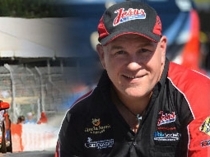 THOUSANDS of elite athletes from across Australia and the world will visit Penrith this month to compete in the inaugural IRONMAN 70.3 Western Sydney event.